Set a festive table with your choice of placemats or table toppers. Detailed binding instructins are included. 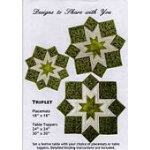 Great for special occasions and seasonal table settings. Placemats: 18" x 18". 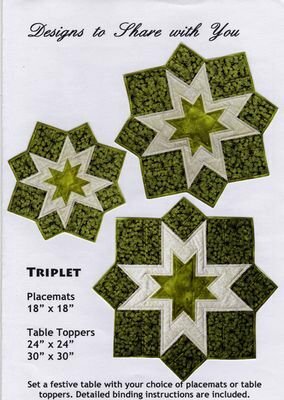 Table Toppers: 24" x 24" or 30" x 30".